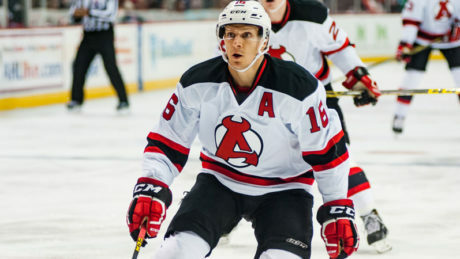 Chris McKelvie, who has spent the last four season with the Albany Devils, has been named an assistant coach for the Army Men’s Hockey Team. 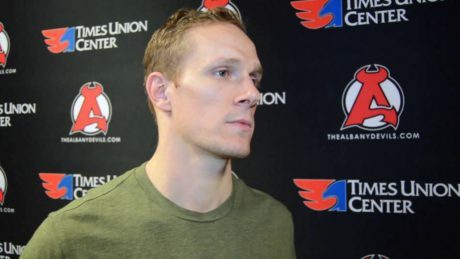 Chris McKelvie talks with Devils TV as the Devils wrap up the 2015-16 season. 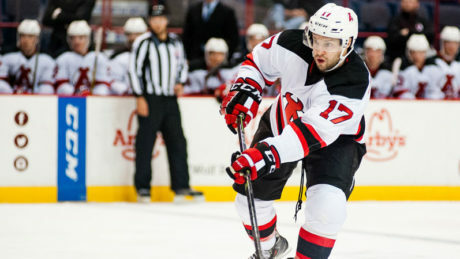 Will Nick Lappin Play This Weekend? 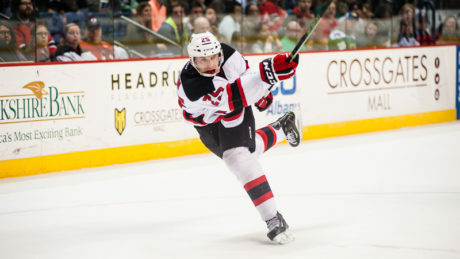 After a fast start to his pro career, Nick Lappin has been sidelined with an upper-body injury. He may return this weekend. 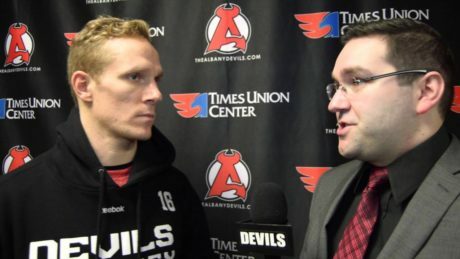 Chris McKelvie previews Sunday’s 3 pm clash against the Marlies. 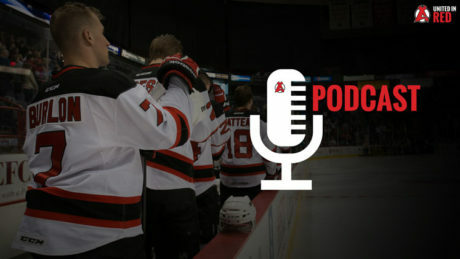 Marc-Andre Gragnani could be in the lineup as early as Wednesday when the Albany Devils host the Bridgeport Sound Tigers at Times Union Center. Raman Hrabarenka and Chris McKelvie will miss some time with injuries sustained during the weekend. Introductions weren’t needed during the first couple of days of this year’s training camp. The majority of players, who have already reported to Prudential Center, are quite familiar with each other.